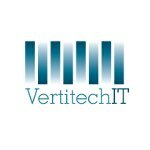 VertitechIT’s mission is to make technology an asset for your business, not a problem. They strive to seamlessly integrate technology with your business allowing you to focus on your customers. They aim to deliver the best possible, most reliable network solutions. They have the ability to evaluate, diagnose and collaborate uniquely positions them to provide a total service solution for the small to medium sized business.